It was believed that Anna Maria Russel, The 7th Duchess of Bedford in the early 19th century, who was hungry at four o'clock in the afternoon invented the afternoon tea. Ever since it has been a common British tradition to serve afternoon tea between the long wait of lunch and dinner. Today, H&CO is preserving the tradition with a creative twist in Medan. 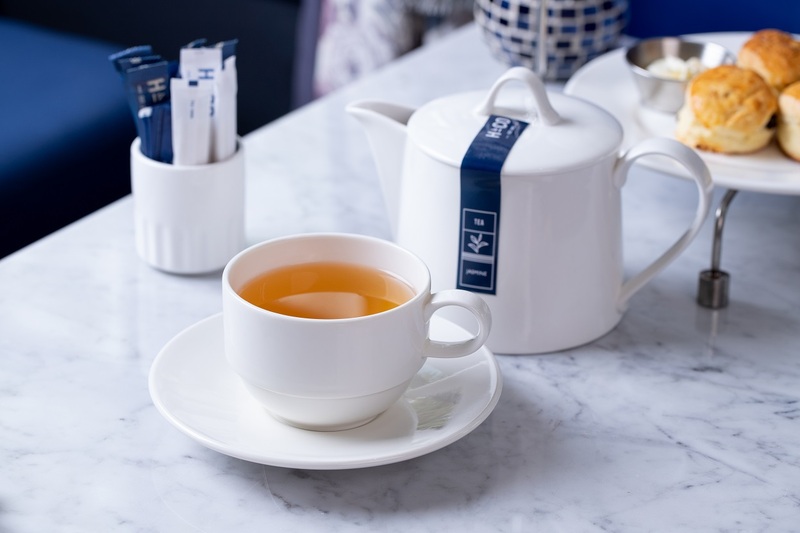 Enjoy the most charming afternoon tea in town at the beautiful blue and white interior of H&CO Kartini. 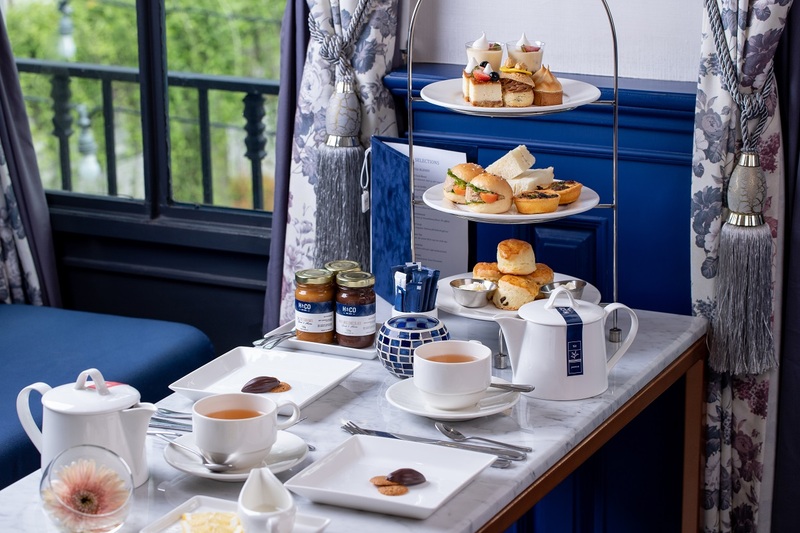 Savor a spread of warm scones, fine teacakes and fresh finger sandwiches presented on our beautiful three-tier-plates and accompanied with a pot of freshly brewed tea. See and smell through our fine teas at the glass display area. Awaken your senses while you pick your favorite pot of tea to enjoy throughout your afternoon. Choose from 10 choices of loose leaf tea including our wonderful H&CO tea blends, Melange du Jardin and Five O'Clock Blend. A unique experience to start an unforgettable afternoon. Light green tea with calming lemongrass and chamomile. Ideal sip after a long day of activities. Floral blend of rose, lavender & marigold with green tea. Soft & fragrant. Refreshing, calming & soothing. This sweet flower tea contains no caffeine. Smooth, sweet & delicious! Light delicate burst of chrysanthemum flower. No caffeine. Classic black tea infused with fragrant bergamot. Delicious full bodied bright tea! Exquisite and packed with antioxidant. An instant lift for any time of the day. Rustic green tea with toasty & nutty flavor with sweet, light and fresh finish. Green tea infused with fragrant jasmine petals. Sweet & aromatic. The famed China-originated tea with a spicy, savory finish. A deep, rich, black tea that is perfect for morning wake-up-call or afternoon-pick-me-up. Afternoon Tea Menu changes monthly. All our menu are prepared and served fresh daily from our kitchen with the freshest and finest ingredients available. So sit back and enjoy a delightful afternoon tea full of delicious cakes and pastries making it one of your life's greatest pleasures. Afternoon Tea is available by reservations only from 15.00 - 18.00 on your selected date at H&CO Kartini - Jalan Kartini No 8B/14 Medan, North Sumatra. Please book 1 pax per person. We will set your table according to the number of pax booked. 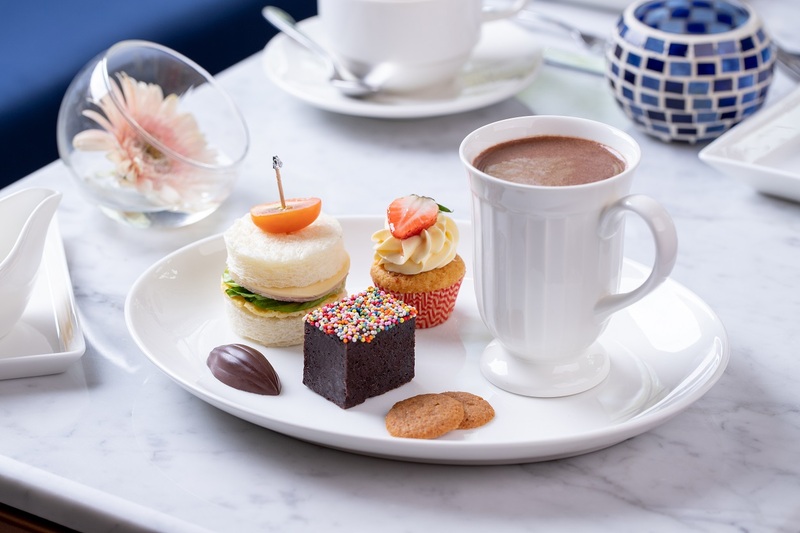 H&CO also provides afternoon tea for children under 12 years old. Please let us know if you are bringing your children to the afternoon tea. They will love the 'children's afternoon chocolate' menu - includes a brownie, a cupcake, sandwich, and hot/iced chocolate. Please let us know any occasions you are celebrating or any food restrictions and allergies during your booking. We do cater for non-beef (meat and gelatin) and vegetarian afternoon tea. However, all our foods are made in an environment that process eggs, gluten, nuts, dairy, meat, and seafood. "Tea to the English is a picnic indoor."